YouTubers like me use Auto Library (https://www.youtube.com/audiolibrary/music) inside the YouTube Studio frequently. Since there are hundreds of amazing audio files to explore, it is really hard to keep a track on which ones we have played already or we haven't. For now, I play some of them and then Star them so that I know which of them are played. The ones I like, I download right away ( specially the ones which doesn't require any attribution ) - makes things easier for me. So besides having single star for tagging, having one more star to let us keep track of our choices. What if tomorrow I have to check out more audios, how am I going to know which ones I have played so far. Then perhaps, instead of having 2 stars, just mark the already played ones with “PLAYED” or something that helps us distinguish between the Played and Unplayed in the Auto Library. Above are the pending audio files which are yet to be played. There is no way to know which ones I have played so it wastes a lot of time. Having this feature will definitely help a lot of users. Around the globe, organisations and individuals take the initiative and organise the DrupalCamps. To make the DrupalCamp happen, they invest their resources in terms of financial capital, human resources and everything else which is required to deliver a good camp! Goa is a destination city in India, popular for its beaches, parties, scenic views. Every year millions of foreigners and Indians visit the city for their vacation and for the leisure. Goa is a home of millions and has some 100 odd IT Companies offering digital solutions. Since Srijan had one of its development centers in Goa, Srijan volunteered to spearhead the project by organising the camp and allocating bandwidth of its developers for volunteering to the camp. Being the community manager there at Srijan - my full bandwidth was donated to the DrupalCamp and I project managed the DrupalCamp Goa. So, the first step we took was to decide the format of the DrupalCamp Goa - which we finalised as the 2 days camp with 20 Sessions spread across 6 session Tracks namely Coding and Development, Community & Business, Site Building, User Interface & User Experience Designs, Symphony/ PHP, Beyond Drupal. While doing that we were facing chicken egg problem - what will come first ( Sponsors or the Venue / Venue or the Registrations / Registrations or the Speakers and all other combinations ) and wondered what would be the scale of event - considering the fact that for more than 2-3 years there haven’t been any Drupal Meetups and there didn’t exist any formal Drupal Community. It was a risky proposition to brand the event as a large one as then failing it would lead to disappointment among the organisers, sponsors and the budding community. 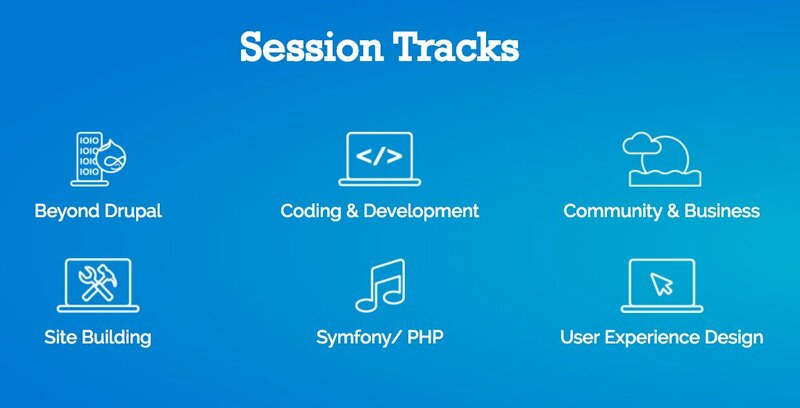 With the goal to fostering the Drupal Community in Goa, we went ahead with the graphics work which was the central piece of all the marketing and web related tasks and Suhail Lone managed it exceptionally well. Suhail Lone worked hard day and night for 2 months to deliver the best possible designs which resonates with beach and fun theme of DrupalCamp Goa. Thereafter we started with the development of Website and the crew ( Manjit Singh, Yogendra Prasad, Udit Verma ) worked day and night to make it happen. 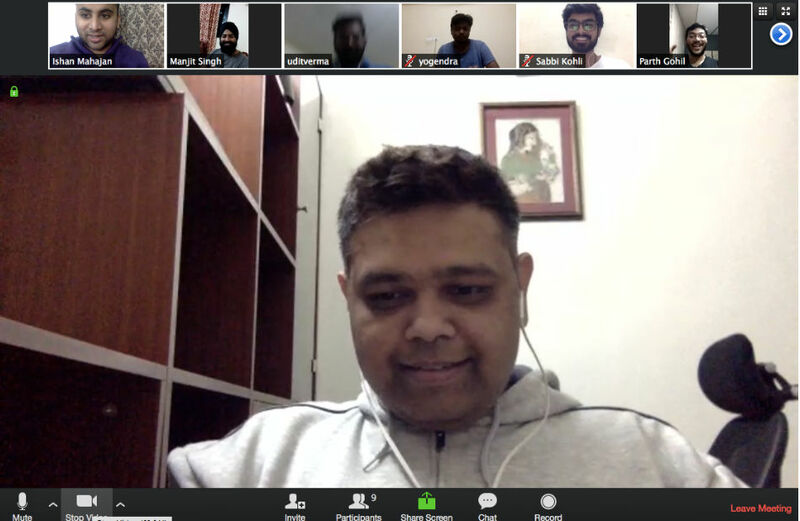 Daily catch up call used to take place without fail and our volunteers and crew members - Shreyal Mandot, Gaurang Agrawal, Manjit Singh, Yogendra Prasad, Surabhi Gokte, Udit Verma, Vaibhav Jain, Parth Gohil, Ashish Dalvi used to be available for brainstorming. To make any DrupalCamp happen, besides the human capital and creativity, capital is required to make necessary arrangements. Parth Gohil from Axelerant, Vaibhav Jain from Acquia, Ashish Dalvi from Iksula, Piyush Jain came forward and helped me with the different strategies of outreaching to prospective sponsors for the event. We approached Drupal Association for their support and in a matter of days they supported us with the grant which we needed badly. First three weeks of chasing our Sponsors was of great struggle and we reached out to a dozen Goan companies as well as some of the renowned Drupal Shops. 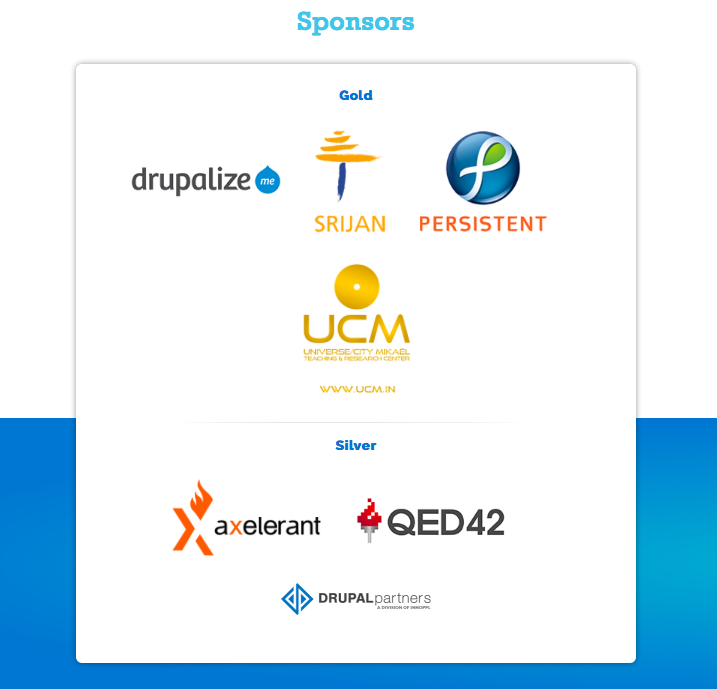 Srijan, Drupalize.me, Persistent Systems and UCM Foundation of India came forward and became our Gold Sponsors, Axelerant, QED42, Drupal Partners became our Silver Sponsors. Indeed, they were our community’s heroes as they kept faith in us and supported us. 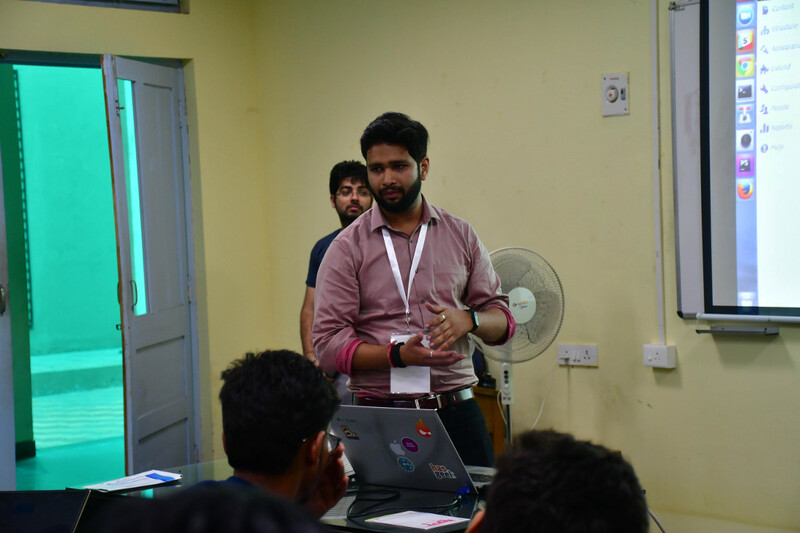 Marketing initiatives were managed by me directly and I approached all the universities and IT Companies located at Goa and I perpetually outreached to spread the awareness and invite them to our DrupalCamp Goa. The goal was to get as many as session proposals, attendees as well as volunteers. In parallel, we ( Gaurang, Chetan Parker, Sayali Prabhudesai ) were negotiating with Goa University to get the venue where we can host our attendees. Mr. Ramdas Karmali ( Professor - DSCT ) was extremely supported and he negotiated with the management and ensured that we get the best Auditorium for our camp. We received over 115 session proposals and 20 out of them got selected. Drupalers from all over India ( New Delhi, Bangalore, Mumbai, Chennai and nearby cities ) were traveling to attend the DrupalCamp Goa which was going to help us in achieving the goal of making it a DrupalCamp full of diversity. Some flew down to #Goa, others rode bikes and drove cars to #Goa from #Mumbai, then we also had people coming through buses, trains. The night before the DrupalCamp was eventful. The DrupalCamp Goa's volunteering team spent whole night making necessary arrangements so kudos to Manjit Singh, Prajact Sawant | Registration Booth - Yogendra Prasad, Vikash Choudhray, Aneesh Anand, Prajact Sawant, Udit Verma,Rooms (Includes Hiring + Sessions + workshop), Manjit Singh, Surabhi Gokte, Dinesh KD ,Raam Yadav, Joshua Fernandes & Aman Kanoria | Sponsors Booth - Udit Verma, Parv Jain | Food & Directions - Prajact Sawant, Yogendra Prasad | Goa University's Support Staff - Deepak & Gaurang ( Goa University Staff ). Parth Gohil, Vaibhav Jain, Ashish Dalvi, Senthil, Suchitra Kumari's support was indispensible for the event as they were the part of advisory team which perpetually guided me and acted as the support group to ensure that their experience with the community can be leveraged for the benefit of community at large. And finally on the Day 1 of the event, we reached the venue at 6 in the morning, all set to welcoming the Camp Attendees. We received attendees of all age groups ( 11 and above ) and of different professions ( School students, University Students, Architecture Students, Professors, Entrepreneurs, Sales and Marketing Professionals of different IT Organisations, Developers - FrontEnd, Backend, Scrum Masters and Project Managers ). Every event needs a Keynote Speaker who has got deep industry insights and can inspire the entire community. Special thanks to Parth Gohil who invited Mr. Pankaj Verma as the Keynote Speaker. Mr. Pankaj is the Enterprise Architect at IBM Global Business practice. He has been working in the industry for 22 years & has done his Masters in Systems from IIT Delhi. He worked for last transformation projects for Airtel, SBI digital initiatives, Vodafone Digital Initiatives, Smart City engagements in Lodha. He published his papers on publicly accessible platforms like Quora, LinkedIn & Medium. Everyone enjoyed the Keynote and Twitter was flooded with the feedback. Followed by the Keynote session, there was tea break post which attendees went to respective rooms for attending sessions of their choice. Audience was delighted with the kind of sessions were selected and the depth to which they got delivered by the speakers. 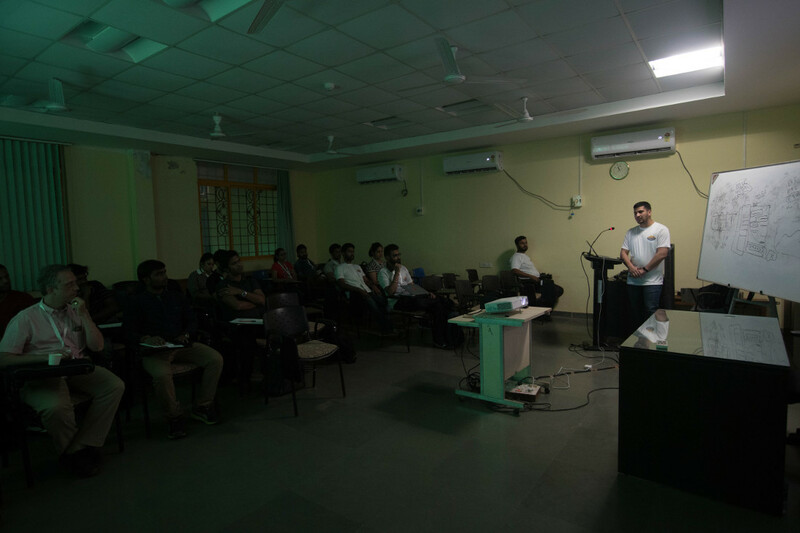 One of the key highlight of DrupalCamp Goa was the Full Day Drupal Workshop which was attended by about 70 attendees. Special thanks to our shutterbugs - the official photography team (Nitin Kumar, Sabbi Kohli, Abhishek Prabhu, Senthil Kumar, Sanjay Salpatre) of DrupalCamp Goa who volunteered and captured hundreds of memorable moments during the 2 days of DrupalCamp. Our kickass Photography Team @sabbi0612 @abyshakes @sanjuu09 @senthilmohith @nitintrue @jeetmail72. 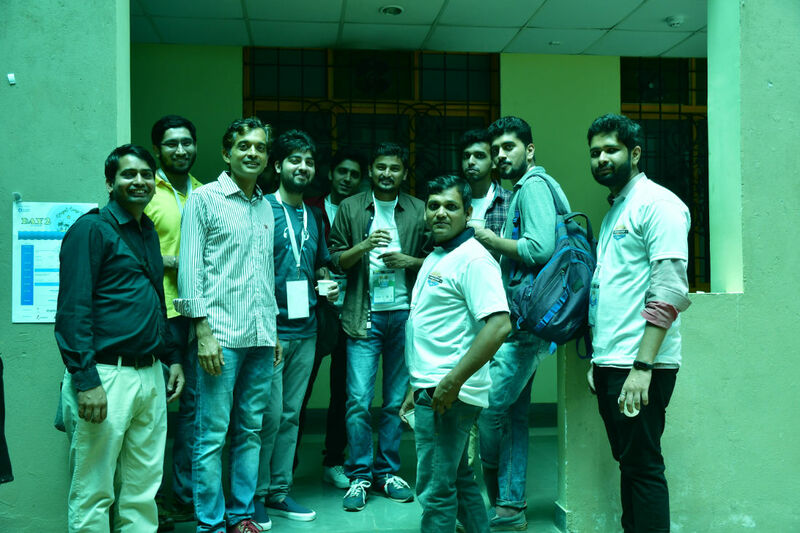 Some of the Attendees, Volunteers of DrupalCamp Goa - Photo Credit: Nitin Kumar. Session by Sami Ullah - Photo Credit: Abhishek Prabhu. 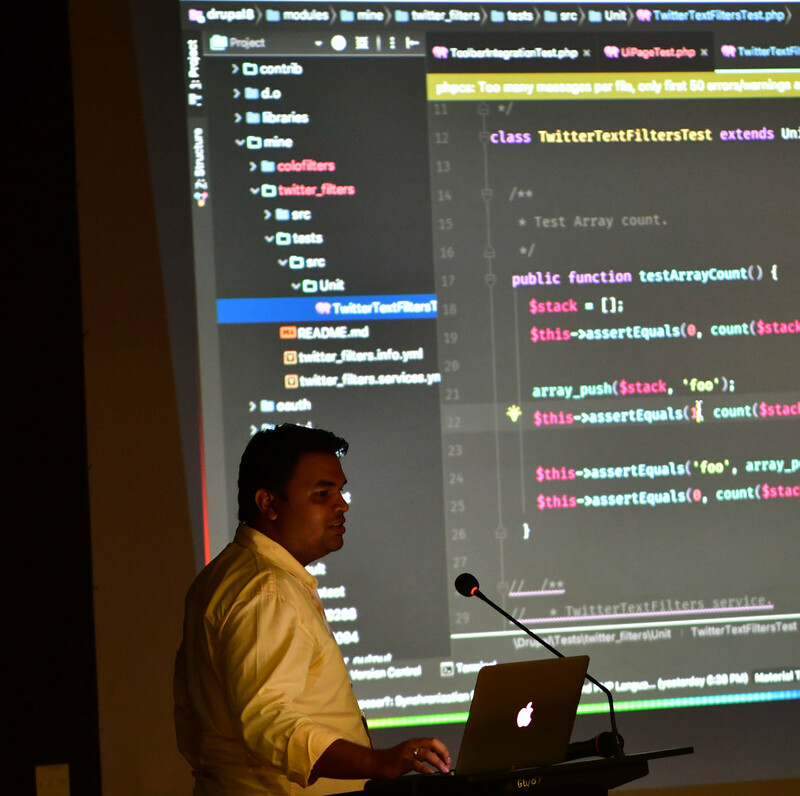 "Let me walk you through the code" : Swarad - Photo Credit: Senthil Kumar. 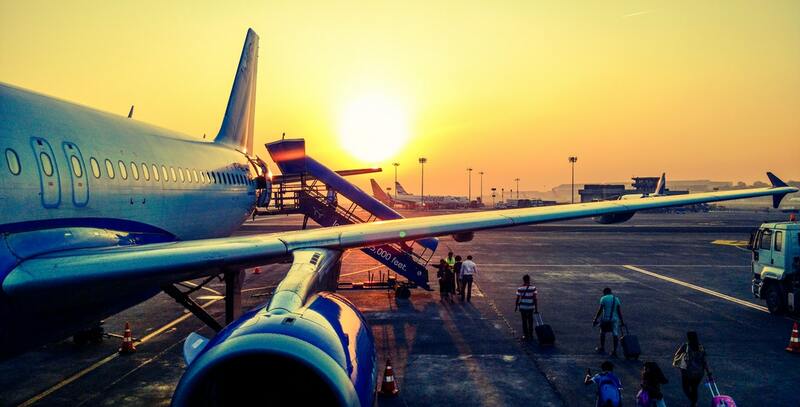 For a keen traveler, every flight is an adventure. It just lifts you up ( quite literally ) and shows you the bird eye view of the world. To make the travel experience a memorable one, there are some (un)written rules which must be followed. 1. 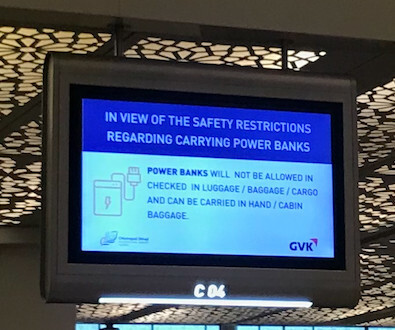 You cannot carry your power bank in your check-in bags. 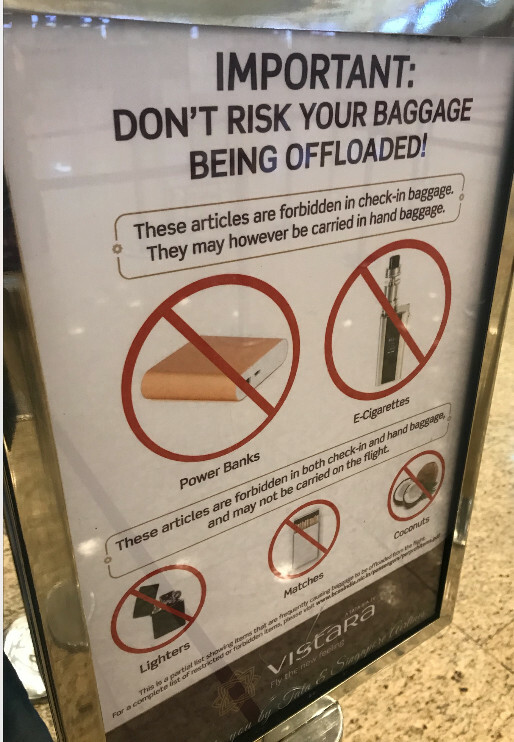 Airlines around the globe disallow inclusion of powerbanks in the check-in bags. 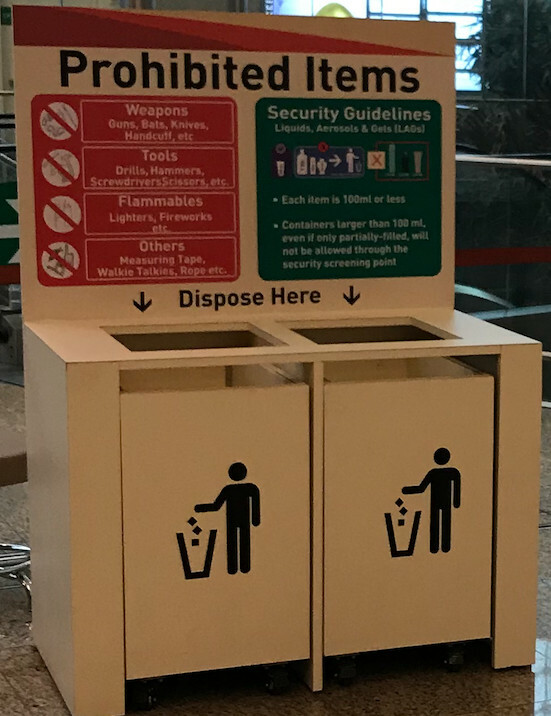 Airports have the signages with these intructions clearly mentioned. Possible Reason - God forbid if there happens any internal short-circuit in the power bank, they have got enough charge in them to blast and fire up. Moreover powerbanks comes in various shapes, sizes and brands. Most of them don't have high pressure tolerance or they have improper circuitary and there can be dozens of various reasons to not consider them as safe. After 2-3 hammer strikes, the power bank exploded. Therefore, one must not carry them in their check-in bags. Hand baggages are okay for carrying power banks as although risky there are measures to control the fire in case of any eventuality. Besides that, there are restrictions for the items to be carried inside the airplane. How to engage with influencers who have been vocal about your brand? Offer your loyal customers something - perhaps a goodie, a surprise. The more your loyal followers will speak about you, better your word to mouth publicity will get and their followers will become your prospect. Consider a lifetime value of a customer as well as the size of their network - as the benchmark / critical metric for your marketing / targeting efforts. A customer ( for e.g. : flyer ) at 27 is definitely going to use more services ( for e.g. : travel ) every year - possibly more than the previous year. Therefore it is prudent to identify personas of your customers and offer different packages / surprises to them so that they just won’t stop speaking about you. The impressions they will fetch for you in yours / their posts will mostly exceed the amount of impressions the brand gets by itself. Since social media is all about community, it is the people / followers who makes the brand stronger or weak. Community Managers - Who are they? I have been a community manager for about 9 years now and I have led community of few hundreds to few thousands for my projects as well as the organisations I have worked with. 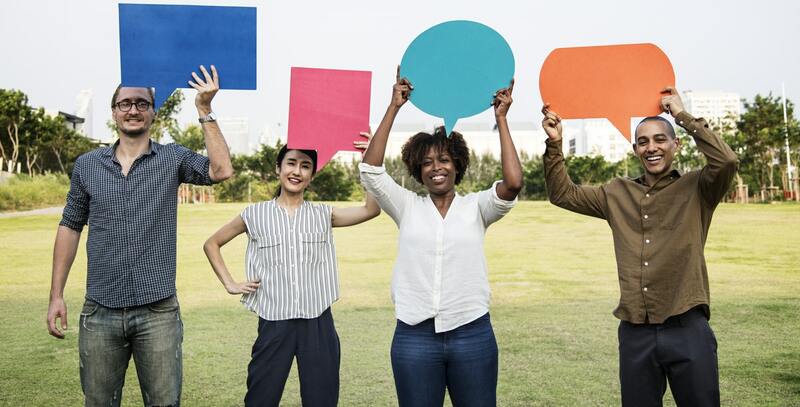 Community management being a critical piece for organisations, I wanted to write about what I understand about the role of Community Managers in organisations of different scale. Being empathetic towards all the stakeholders whether it is the employees, the customers or any prospective hire in the future - they handle your brand reputation in the best humanly manner through consistent communication. Marketers primarily focuses on establishing organisation as the market leader, market the products and services of the organisation which is massive work in itself. Human Resources are perpetually managing major tasks like requirements, negotiations, onboarding processes and what not. Sales professional focus primarily on building sales pipelines, does the market research, understands the product and market better, does the prospecting, demos and thousand other things. There was a need of someone who has the trait of HR + Marketers or HR + Sales Pros or the trio - HR + Marketer + Sales Pro. Why every organisation needs a community manager? While there are departments like Human Resources, Marketing, Sales - the organisations definitely needs someone who can act as a bridge between all these three departments and has the complete understanding of what’s happening in these departments who are like power houses of the organisation. Furthermore, the community managers interact with the employees, customers, prospective hires in different setups - like during the events in the sponsors booth, while attending conferences, during the town halls / retrospective meetings of the offices. To build an organisation which lasts for decades and more, a community needs to be built up possibly around organisation’s areas of interest, for example if the business is an Airlines organisation - then community around Flight Attendants, Pilots, Aviation enthusiasts can be built and nurtured which will help in discussing the industry best practices, building sales / hiring pipeline ( which is of significant advantage ). Moreover, when a community is built up, the pointers discussed are actually the personal experiences of the professionals which can help in improving the processes, the attendees with little or no experience will have great learning experiences and all attendees will enjoy the networking which opens the gate for mentoring and fostering relationships. Communities are meant to be inclusive and businesses should embrace them. Seeing each and every fellow organisation as the competitor actually limits the ability of organisation in terms of network, getting access to industry wide best practices, pool of prospective hires. Organisations will stop poaching ( which is the case in most of the industries ) because of one simple reason - respect within the community. Employee’s loyalty these days is hard to judge/ forecast. While there will be outliers in a positive way ( they will become veteran of the organisation ) or negative (leaving job in months the moment better offer is received), no one leaves a well engaged, highly rewarding ( in terms of learning, roles and responsibilities and monetary way ), employee centric organisation with unbiased leadership. To retain employees for long term - the organisations must nurture the employees by identifying their personas, understanding their motivations and their career aspirations and then planning the succession of theirs. Community Manager takes care of the engagement part very well as they tirelessly communicate with the internal community which is the employees and while understanding the concerns of the employees regularly, they actively work towards enriching their experience at the workplace - by encouraging them to volunteer and participate in different organisation’s activities, acknowledging their achievements on organisation level platform ( through emails / social media ), encouraging them to attend events, take up certification courses ( every industry has got internationally renowned specialised certifications available which upskills them ). Fostering and supporting the Communities is a challenging task which will require dedicated volunteer hours, some capital ( for hosting the events ), lots of passion and grit.